One lucky VISI reader will win a Smeg 90 cm gas-electric Symphony cooker in the colour of their choice, plus gas cooktop accessories, including a teppanyaki sear plate and a griddle, all to the value of R36 880. Bring the ultimate cheffing experience into your kitchen with Smeg’s effortlessly elegant Symphony cooker. You expect great design from Smeg, and this cooker most certainly delivers. Not only is it remarkably energy-efficient but you also no longer have to worry about dinner being spoiled due to load shedding thanks to a full suite of advanced gas cooking technology geared to bring the restaurant experience home for the creative cook. The extra-large oven features a double-fan airflow system, a rotisserie, and groundbreaking insulation technology. Combine the cooker with the additional accessories, including the 30 cm stainless-steel teppanyaki sear plate and ribbed cast-iron griddle, and you have a recipe for culinary success. 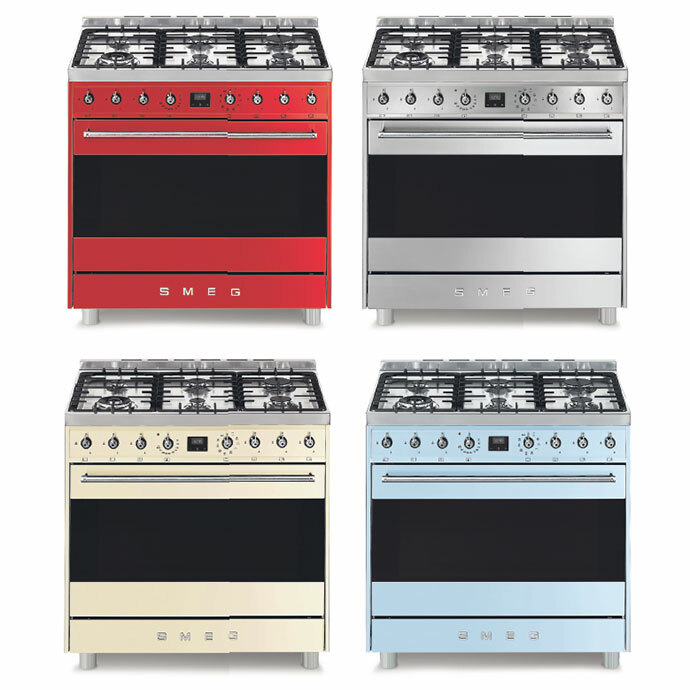 The Symphony cooker comes in a range of colours, including fiery red, stainless steel, vintage cream, pastel blue and ice-white.